There are several alcohol addiction treatments. Each has its pros and cons and varies in its effects on different people. All courses of treatment however start on the first phase, which is the acceptance obyan addict that he is suffering from an alcohol addiction problem. 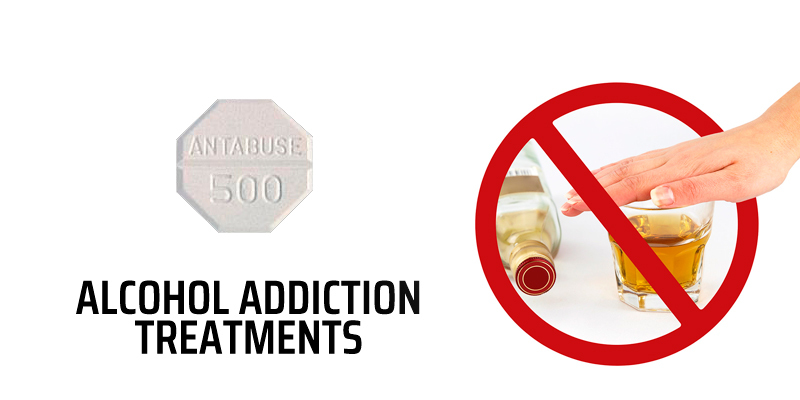 Once the patient accepts the fact and commits to sobering up, then treatment can safely and effectively begin. Probably the most widely known of treatment is through the 12 step groups. The most popular is Alcoholics Anonymous. The main objective of these groups is to make each member commit to abstain from drinking. It works by each member looking out for each other but with a sponsor helping each individual. The group serves as the support group of the recovering addict. This is a popular choice as it works but it is only effective for those who are willing to admit their addiction. A more private approach is a self-help mode of treatment. A patient tries his best to recover from his addiction alone. This is an alternative for people who are extremely private. The downside to this is that since there is no support group, there is almost no barrier to slipping back into the addiction. There are several programs that a patient can choose from and follow. The only motivation a patient has is his own desire to overcome his addiction. This is highly effective if one can muster up enough courage, discipline and will power to treat his own addiction. Another alternative to joining groups is to sign up for psychological treatments. This is similar to a self-help approach but it is done under the supervision of a psychologist or even a psychiatrist. The key to this method is that some addictions are behavioral in nature. If the underlying emotional or behavioral problem is solved, then the addiction is treated. It works under the premise that the addiction is a mere side effect or incidental only to another issue. Some patients are even seen to recover right from the moment that they are made to admit they have a problem. Some techniques employed are to teach the patient to divert their urges to drink, similar to smokers trying to kick the habit by training themselves to opt to nibble on vegetable sticks once they have the urge to light up a cigar or a cigarette. Another mode of treatment is through the use of medications. This is especially resorted to in dealing with and managing the withdrawal symptoms of kicking the addiction to alcohols. Some drugs are added into the mix that helps satiate the urge to drink. Some, like Antabuse, work to discourage drinking by making the after effects of even the smallest amount really unpleasant. This mode is sometimes combined with the psychotherapy and self-help approaches. The most drastic mode but highly successful is through admission in treatment facilities. Patients check in to facilities where they are monitored and work almost the whole day to treat their addictions. In treatment facilities, all the mentioned methods are incorporated. A typical day for a patient involves joining a group meeting, having a session with a therapist, ingesting a cocktail of medications if needed and attending seminars and trainings that help them deal with their addiction. A friendlier and less invasive approach is through community reinforcement. This is similar to a help group but with the addition of livelihood or vocational trainings. These help patients have other things to busy themselves with rather than thinking of drinking. It also gives them an outlet for release rather than opting to resort to alcohol. They are given projects to work on so that the end result is that they are made to feel good and be proud of something else other than their success in overcoming their addiction. Each of these methods has their own advantages and certain disadvantages. As mentioned, one method may work for another while being ineffective to some. It all depends on the person recovering from an addiction. The bottom line is that once he acknowledges that he has a problem and commits to recovering, he can. He just has to choose which one will work for him.